sermons in stones, and good in everything..
...and stealing the words from a sweet song by Francesco De Gregori we can say :"THE STORY IS US"
Our is a recent Story…belonging to our time. We don’t have forbears or ancestors to quote but only the courage and the strong will of a Young guy that has decided to make his love and passion for Horses the centre of his life. 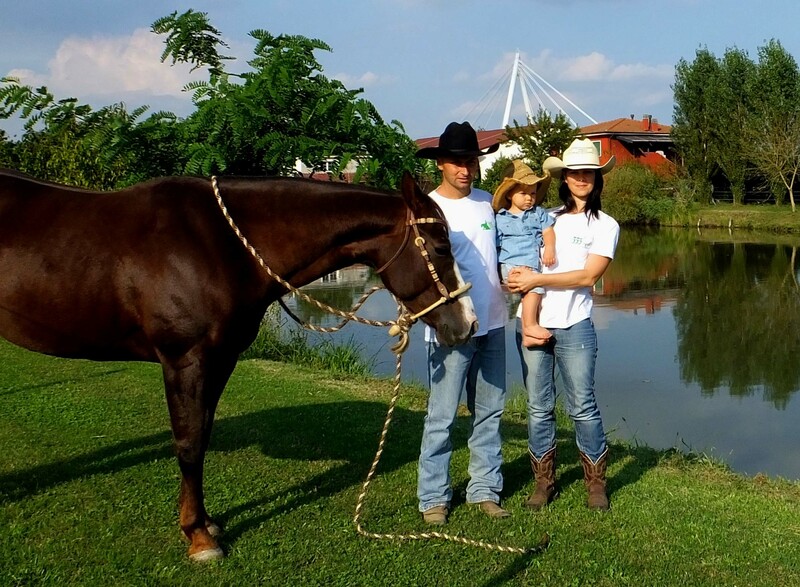 Adriano Pedretti bought its Farm and he will call it Azienda Agricola “Adriano Pedretti” in the 2007, from that moment his daily commitment is to dedicate his time to realize a dream…live in a real Ranch…the 555 ranch. Time goes by and the 555 Ranch ”grow”…thanks to the constant work of Adriano, thanks to all the persons that along the years have been close to us, above all thanks to our beautiful families that with love and respect have sustained and helped us in realizing our project. 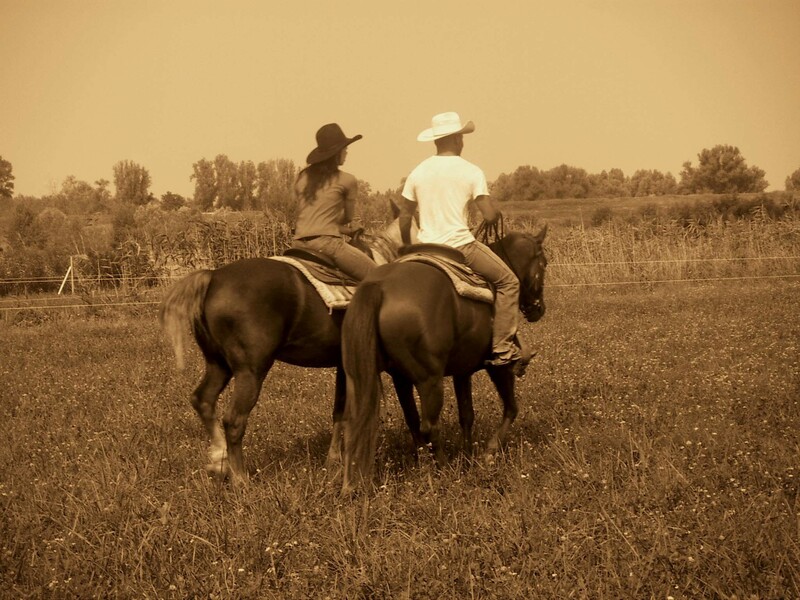 In 2010 we launched the new Agritourism project. It is located inside the property, it is constituted by mini apartments to give the opportunity also to other people to spend some time of relax and leisure, surrounded by green gardens, pastures and in the quite of a Ranch that has become reality. 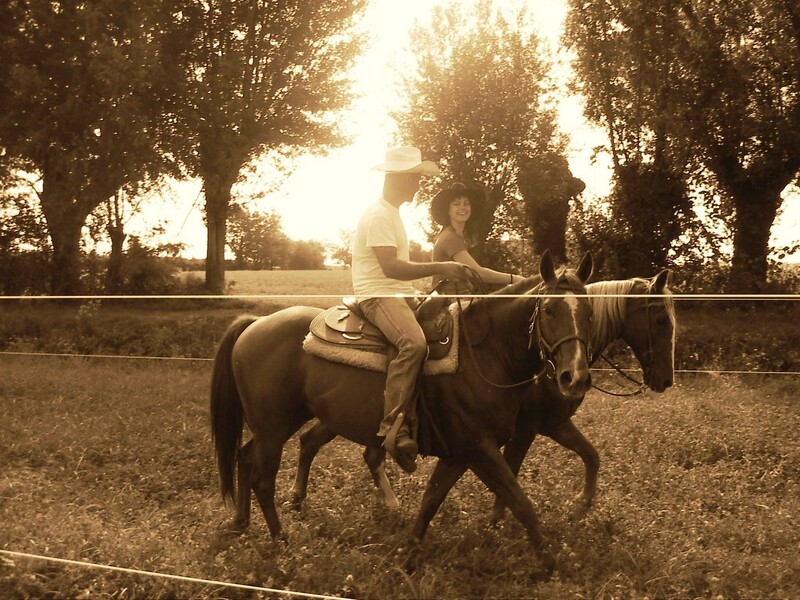 The young Pedretti family will WELCOME you with a big smile drawn on their faces, maybe sometime a bit tired for the hard work in the Farm but always with the smile of who has decided to share their daily life and love for Horses and Nature with close and far away friends. Come to visit us, we will be happy to tell you our young Story and to listen at your stories, because in this life everyone has some beautiful story to tell!